Photographer is Hirsch of Chicago. 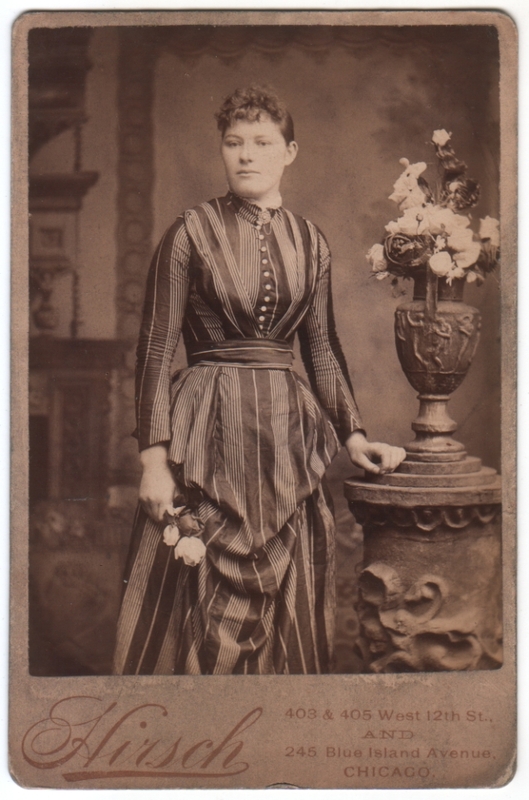 Photographer’s imprint on the back dates it to 1889 (assuming he wasn’t using up old stock). Unidentified. Many photos are perfectly beautiful in black-and-white, but the flowers and the dress make me wish I could see this one in color.